CONTEST: Make your own music video! The marching music community is loaded with a wide range of talents and creativity. Now is your chance to show it off for a chance to win one of a number of fantastic prizes! Drum Corps International is teaming up with Xylo, a great new app for making music videos, to offer you the chance to win incredible prizes, including tickets to the 2017 DCI World Championship Finals, DCI World Championship videos, and more! 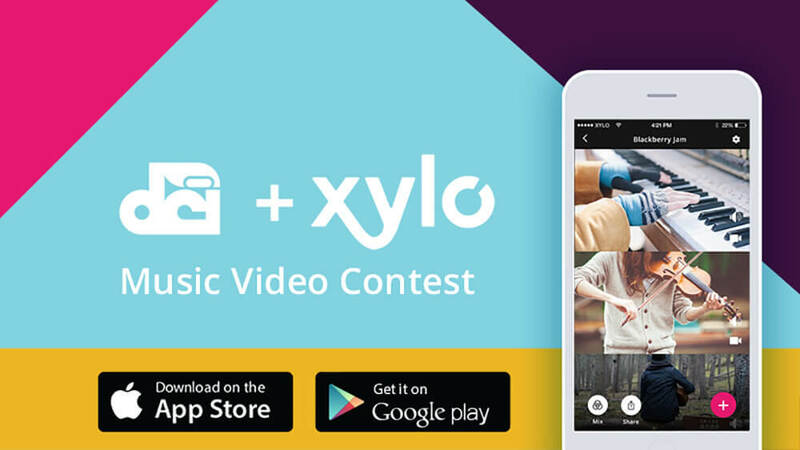 Create a short (20 second) video using the Xylo app, showing off your talent and creativity. Go solo or create something together with friends—It’s up to you. Submit as many videos as you want. The more mixes you submit, the better your chances of winning! Don’t worry about being technically the best (this isn’t what you’re judged on). Just make your video, unique, fun, and interesting to make sure your video stands out and gets shared. So show us what you’ve got! Think outside the box and most importantly have fun! • Download the Xylo app to your mobile phone (iOS and Android). Go to Xylo.com for the download link or search “Xylo Music Video Maker” in the app store. • Create a video that fits within one of the contest categories (see categories below). • Share your video to Instagram with the hashtag #DCIXYLO (you can also use this to find other entries). • Make sure you’re following @getxylo and @dciphotos on Instagram (that’s how you’ll find out if you’ve won). • Submissions will be accepted between December 15, 2016 and January 2, 2017. • Winners in each category will be chosen by DCI and announced on January 4, 2017. Want to improve your chances of winning? Here are a few ways to get noticed! • Create several mixes in different categories. There is no limit to how many entries you can make, more videos means a better shot at one of the amazing prizes! • Share your entry on Facebook and Twitter, and get others to like and share (the more people like and share, the more we know you have something special). • Submit to become a featured mix in the Xylo app (select “Submit to Xylo” from the Xylo app share screen). • Rate and review the Xylo app in the app store. Stay tuned to DCI.org and on social media for updates on prizes and more! Good luck to all!